Samsung has agreed not to sell its 10.1-inch Galaxy Tab tablet in Australia until it resolves its patent issues with Apple. According to Bloomberg, the companies are looking to reach a settlement over patent infringement claims. 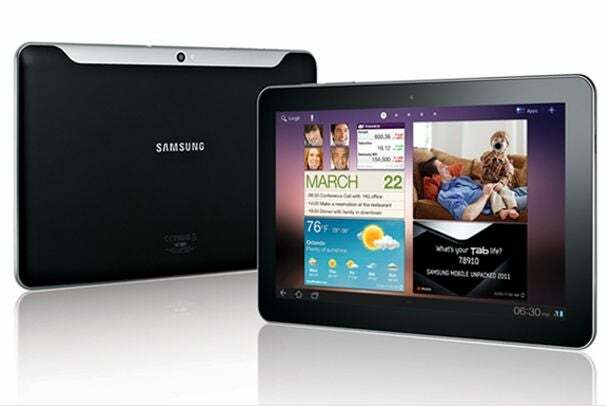 Apple has long contended that Samsung and other tablet makers infringe on Apple patents. According to Apple, the Galaxy Tab specifically violates 10 patents--including the "look and feel" of the iPad, as well as Apple's touchscreen technology. Apple thus sought an Australian injunction against the Galaxy Tab, and Apple also seeks to halt Samsung from selling the iPad rival elsewhere. Samsung, meanwhile, has agreed to stop advertising the product in Australia, and not to sell the device, until the lawsuit is resolved. If Apple loses the lawsuit, it has agreed to pay Samsung an unspecified amount in damages. This is not the first time Apple and Samsung (and Apple and HTC and Apple and Motorola) has gotten into a heated patent-infringement battle. Apple believes all of these companies have infringed on their mobile product patents, and has sued accordingly. Samsung has also retaliated with lawsuits of its own. A hearing is set for August 29 to review the status of this case. Stay tuned.